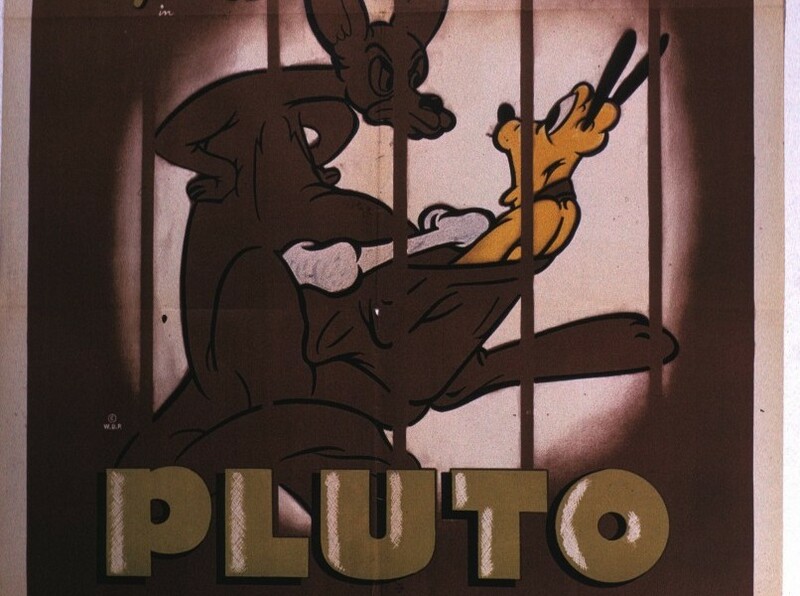 Pluto at the Zoo (film) Pluto cartoon; released on November 20, 1942. Directed by Clyde Geronimi. Pluto is disgusted with his small bone when he sees a huge one in a lion’s cage. He manages to get away with it, but has conflicts with other zoo animals in an exhausting attempt to keep the bone. Finally he props the lion’s jaw open with the bone and leaves the zoo happy with his small bone.